Kentucky's craft bourbon distillery scene has boomed over the last decade. Join Stone Fences Tours in celebration of the entrepreneurial spirit of those breaking into the art/science of the process of creating America's native spirit. On the Kentucky Crafted tour, you'll visit 3-4 craft distilleries from the list below and lunch. 1) Hartfield & Co. 2) Glenns Creek Distilling 3) Barrel House Distilling Co. 4) Bluegrass Distillers 5) Three Boys' Farm Distillery 6) Bourbon 30. 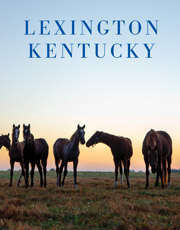 Pickup and drop off will be at the Lexington Visitors Center. The tour is approximately 6-8 hours. Water and snacks are provided. Price includes tours and tastings at 3-4 of the distilleries listed above. Lunch will also be included.